Looking to Create a Beautiful Outdoor Living Area? 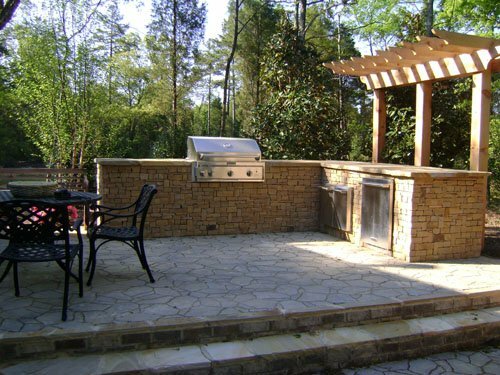 Charlotte Outdoor Living company, E & H Hardscape & Concrete can help you expand your current living area to the outdoors. Whether you know exactly what you want or just have an idea, we can take any project from start to finish using our quality hardscape and concrete products. Let E & H Hardscape & Concrete build the perfect Outdoor Living Area where you will want to spend hours of enjoyment with your family and friends. Outdoor Kitchens, Fireplaces, Pool Decks, Patios and so much more.